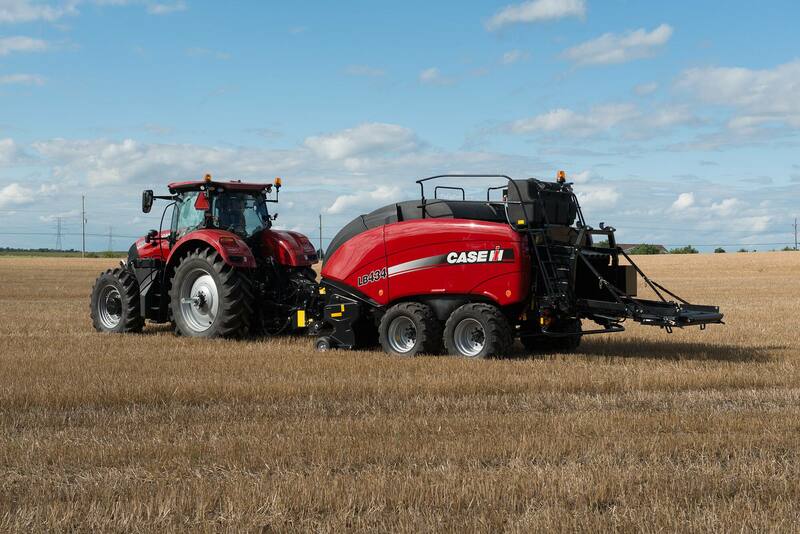 A line of all-purpose tractors that delivers the horsepower needed for larger tillage tools and haulage, plus enough muscle for high-volume hay and forage operations. Optum series tractors are designed to meet the customer needs for dimensions, power, comfort, hydraulic capacity, and weight. With this flexibility the Optum tractor delivers on everything from haulage and roading applications to tillage, planting and seeding, and hay and forage operations. The SurroundVision Cab has 85 cu. ft. of space with 63.2 sq. ft. of glass for all around visibility. Adding to the comfort of the cab is the MultiControl armrest and handle with all the major functions at the operator’s fingertips, allowing more productivity. Best-in-class seat options provide the ultimate operator comfort. Included in base equipment, cab suspension provides the operator with a more comfortable ride, reducing fatigue and stress, especially when paired with a suspended front axle. The Optum tractor offers 8 (standard), 12 or 14 high power LED lighting packages to meet the lighting needs and operator preferences. LED lights provide greater intensity over a longer life compared to halogen lights. ​Optum tractors offer large hydraulic pump options for performance at lower engine RPMs, designed to help operators save fuel. 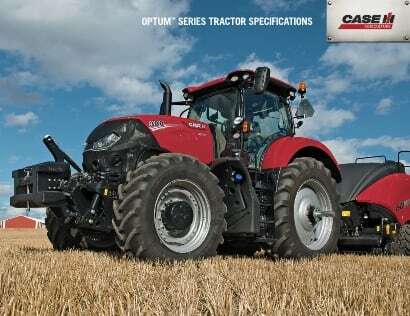 Case IH Optum series tractors feature easy maintenance access points and long scheduled maintenance intervals. Regular maintenance points are accessible without removing shields. The hood opens without tools. Radiators and coolers fold out for quick, easy cleaning. A wide filler opening makes ground-level fueling easy. A 600-hour oil-change interval and low-maintenance fuel system reduce downtime and maximize uptime. Large fuel tanks keep you rolling. 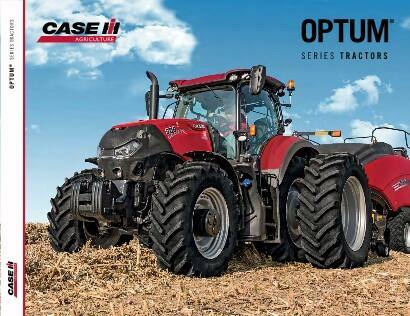 ​​Configure and price your new Optum Series Tractor. Customize it the way you want. ​​Keep on top of the latest product information, farm show reports, and industry news.